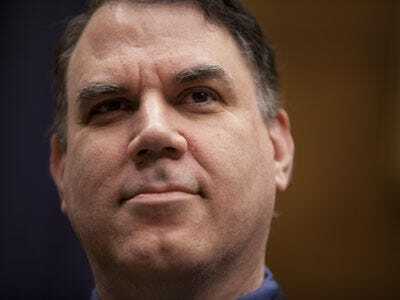 We called representative Alan Grayson (D-Fla) one of the winners of the recession thanks to several popular populists gestures, including a sizzling Youtube video. I write to request that you turn over to this office, and the public, e-mails backed up on AIG’s servers, including internal accounting documents and financial models developed by the company in the last decade. The public owns AIG. We bought it, for an initial down payment of $182 billion. You are the representatives of the public, through your positions as the three trustees of the AIG Credit Facility Trust. The public is unhappy with the purchase. In March, 2009, a poll found that 82% of the public wanted bonuses to AIG employees returned. This didn’t happen. We do not know who is responsible for the company’s collapse, or whether they are working now at other banks or for the Federal government. We do not know if they got bonuses, if they were committing fraud, whether there were kickbacks from counterparties, or if there was any significant restraining role played by the regulatory community. We cannot separate the bad decision-makers from innocent employees, because we simply do not know what went on. You can address this problem, by releasing to us and on the internet, with reasonable discretion, all or sustainably all of the emails and documents that describe the web of relationships and practices behind AIG’s failed business. Last year, I asked former AIG CEO Ed Liddy to give me the names of the people who destroyed AIG and cost taxpayers tens of billions of dollars. He refused. I asked the Government Accountability Office (GAO) to look into the matter. The GAO wrote that it didn’t have the authority to do an audit. I requested that the Special Inspector General of TARP look into the problem. I was told that the problem is too complicated. Once the documents are available for everyone to inspect, a thousand journalistic flowers can bloom, as reporters, victims and angry citizens have a chance to piece together the story. In past cases of financial fraud — from the complex swaps that Bankers Trust sold to Procter & Gamble in the early 1990s to the I.P.O. kickback schemes of the late 1990s to the fall of Enron — e-mail messages and internal documents became the central exhibits in our collective understanding of what happened, and why. On Wall Street, winners can win, but losers must lose. This did not happen with AIG. AIG itself, AIG employees, and AIG counterparties were bailed out. It is beyond outrageous that this company, which taxpayers capitalised after Wall Street used it as a slush fund, hides nearly all relevant facts from its owners, the public. Should this information be released, it is likely that the value of AIG’s remaining businesses will be unchanged. In any event, the public and public markets will benefit dramatically from transparency, because reliable information is the cornerstone of effective markets. I ask that you exercise prudent judgment as stewards of the public interest, and direct the release of all or substantially all emails and financial records into the public domain.